"I appeal to the children of this country and to their Potter-fiend parents to write to Warner Bros and Universal, and perhaps, even, to the great JK herself. Bring Harry home to Britain...if you want a site with less rainfall than Rome, with excellent public transport, and strong connections to Harry Potter, I have just the place." London would work well as a home for such a park, with its many Potter associations (Diagon Alley, Platform 9 3/4, Ministry of Magic), but we can't help thinking that its natural cauldron would be Edinburgh. 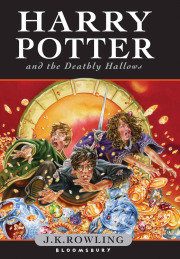 Most of the seven-book series is set in Scotland (the fictitious Hogwarts), and the extensive vaults beneath the Scottish capital would be perfect for recreating the dingy wizarding byways. If a British city were to host a Potter attraction, we'd do well to avoid brash theme parks with Quidditch-style roller-coasters and dodgy dragon burgers. The Harry Potter books are labyrinthine, intricate and often subtle. Let's do something with our dingy alleyways, disused subterranean spaces and complex social history to do the books justice and create an experience that's truly magical.